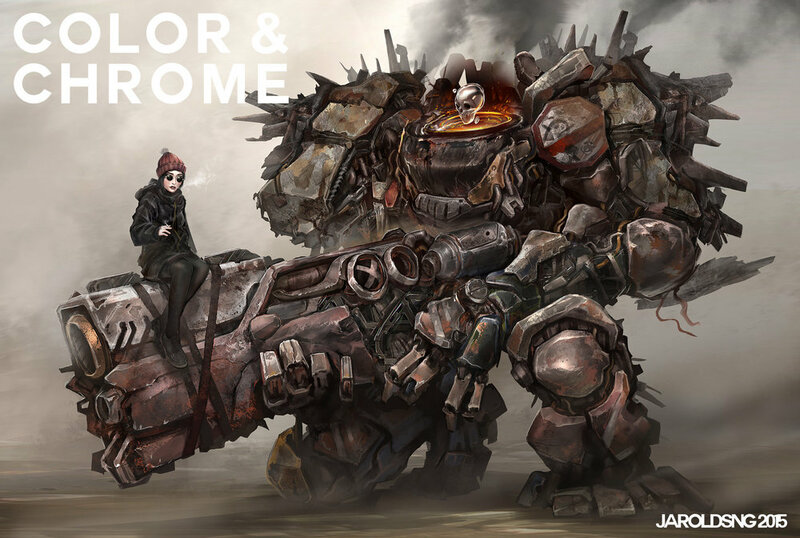 "I set off to create a world of rust and steel, where MAD MAX meets Leon the Professional. Three main characters were created in this process. COLOR- a synthetic service droid hell bent on reaping havoc on the human race, CHROME- her loyal follower, a naive and untapped prototype military weapon and the GORKHAs- the remaining policing squadron peppered in the outskirts of the bad lands."